SAME DAY COLLECTION – ORDERS PLACED ON WEEKDAYS BEFORE 12.00PM CAN BE COLLECTED ON THE SAME DAY AFTER 4.30PM AT THE WASI.LK SHOWROOM ON FLOWER ROAD. 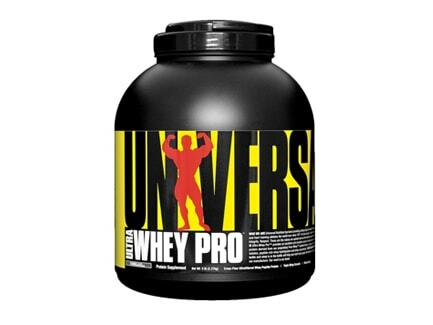 Ultra Whey Pro has set the new standard for high quality, affordable whey protein formulas. Whether you’re training to gain quality lean mass or dieting to lose body fat, Ultra Whey Pro provides an excellent and complete source of whey proteins. * Every scoop delivers 22 grams of protein derived from our proprietary Pure Whey Protein Blend, a unique matrix comprised of ultra filtered whey protein isolates, peptide-rich whey hydrolysates, whey concentrate, and glutamine peptides. Directions For Ultra Whey Pro: Mix 1-2 slightly rounded scoops with 6-12 ounces of water or skim milk. On training days take a minimum of two servings daily, with one serving within 45 minutes after training and the other serving between meals. On non-training days take at least one serving daily between meals. For best results use a blender or shaker bottle.